EARLIER this year, Noni Hazlehurst watched as the sets of A Place to Call Home were dismantled for the second time. Four years ago, the popular period drama's axing by Channel 7 after just two seasons came as a surprise to many including the cast and die-hard fans, who campaigned for its return. 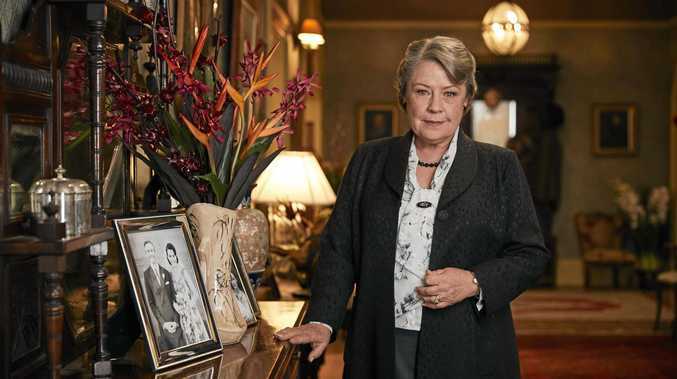 This time around Hazlehurst felt more at peace about farewelling the show which has given her a wealth of dramatic material across six seasons as wealthy Bligh family matriarch Elizabeth. "Some shows overstay their welcome," she tells The Guide. "It didn't really hit (that we were finishing) until the last block of filming as the sets were being dismantled in between takes and racks of clothes were being wheeled out. One by one we did our last scenes and got a round of applause and lots of tears. It has been such a privilege to do this show because it's such high quality and the themes are amazingly pertinent... Racism, bigotry, intolerance, all those things we're still grappling with today." 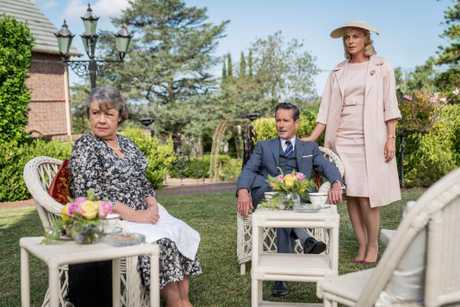 Set in a regional town outside of Sydney after World War II, A Place To Call Home explores the cultural shifts of 1950s Australia. "That period of the post-war '50s is a real moment in itself, and I think we've explored that really thoroughly," Hazlehurst says. "It was the opening of what was a very closed society, and all of the characters are metaphors for that. "There seems to be a desire in some areas for a return to the simple past, looking at the past as we do through the '50s prism. We have to realise the simple past was a construct of secrets and prevarication and lies, and really all that matters is honesty and love. To me that is a place to call home, when you find a place where you know love and experience love." Her character Elizabeth finally found that place with her second husband Douglas Goddard, who tragically lost his battle with cancer last season. "She's in mourning still and all the family have gone their own separate ways," she says. "She has to redefine herself. The love of Douglas was such a profound experience for her in her 60s. To finally find true love has changed her attitude toward everything. 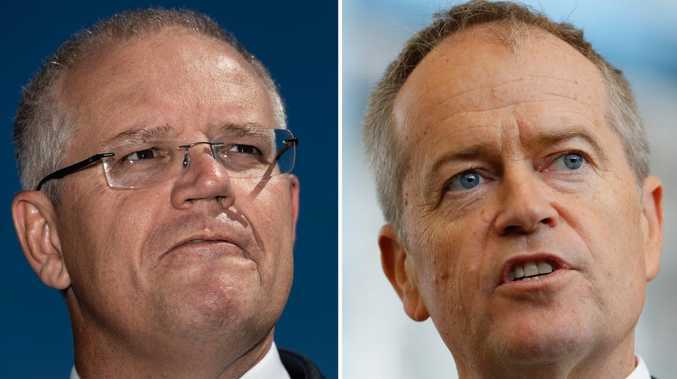 She's having these battles between am I Elizabeth Bligh or Lizzie Goddard? Her role in the family is still very much a font of some wisdom in some areas. She still has a role to play, and she wants to do something that will honour Douglas." 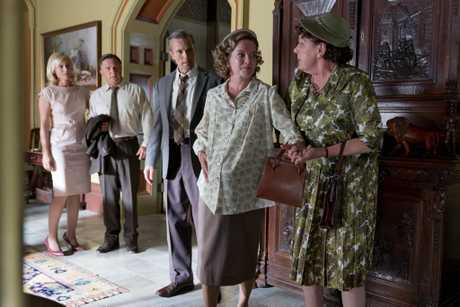 The sixth and final season of A Place To Call Home premieres on Foxtel's Showase channel on Sunday at 8.30pm.